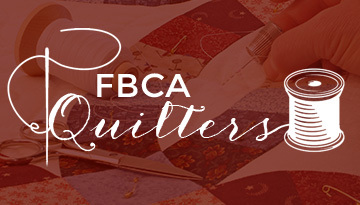 Our FBCA Quilters meet on Monday mornings at 9am on the 2nd floor of the Family Life Center. Can’t quilt or sew? That’s OK! Come along for some great fellowship and we’ll find something you can help with. If you would like more information about our quilters, then please call the Activities Office at 817-276-6490.